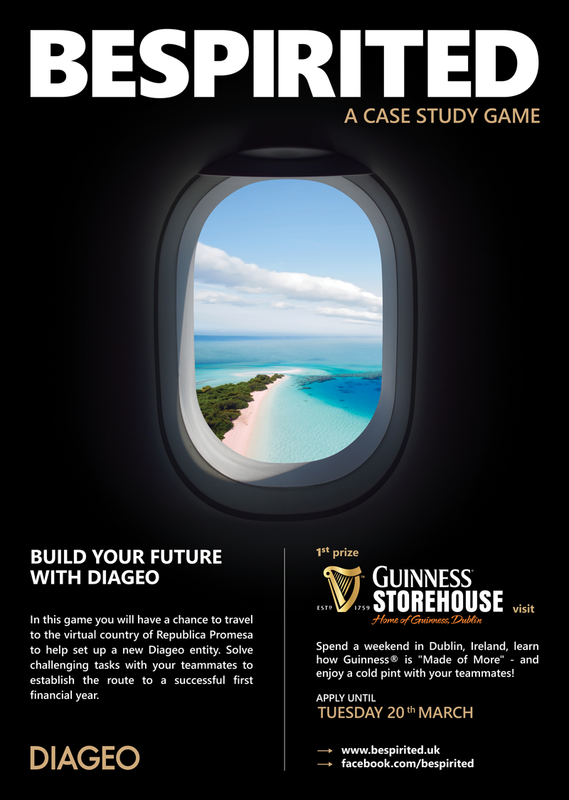 DIAGEO announces BESPIRITED, the ultimate case study game for students. The qualifying round will be an online 3D game, which will be followed by a case study task. After the case study, the best 10 teams will be invited to the final in Budapest. Build your future with DIAGEO. In this game you will have a chance to travel to the virtual country of Republica Promesa to help set up a new Diageo entity. Solve challenging tasks with your teammates to establish the route to a successful first financial year. For participation, business administration and / or financial studies are an advantage. However, applications from students and recently qualified graduates from any other background are very welcome. Get ready, we are looking for new talent! What are the tasks? – First, enter a fun online game with creative and professional tasks. The best 30 teams qualify for the semi-final with a case study, and only the best 10 teams can participate in the live final in Budapest. 1st Prize: GUINNESS STOREHOUSE® VISIT: Spend a weekend in Dublin, Ireland, learn how Guinness® is "Made of More" - and enjoy a cold pint with your teammates. 2nd Prize: MIXER COURSE: Learn how to mix cocktails like a pro. 3rd Prize: BRAND STORE VOUCHER + ZWACK DISTILLERY VISIT: Visit the "Heart of Unicum” and spend 20.000 HUF in our Brand Store. Visit the Best Places in Hungary!